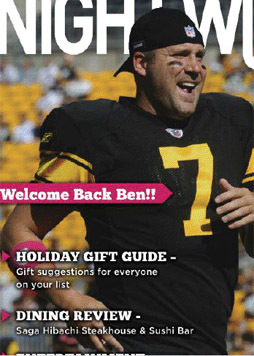 Ben was selected as the AFC’s #2 quarterback behind the Patriots’ Tom Brady to play in the 2012 Pro Bowl! The rosters were announced this evening at 7 p.m. on a special NFL Total Access “2012 Pro Bowl Selection Show” on NFL Network. Ben has passed for 3,856 yards with 21 touchdowns and a quarterback rating of 91.5 rating so far this season! Phillip Rivers is the #3 quarterback behind Tom Brady and Ben. 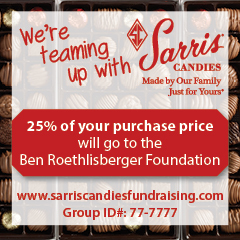 This is Ben’s second Pro Bowl selection. 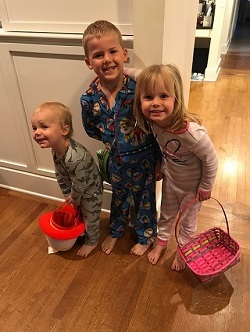 In 2008, he was a reserve quarterback along with the Colts’ Peyton Manning behind the Patriots’ Tom Brady, who was the No. 1 vote-getter. Ben became the back-up to Peyton Manning on the field when Tom Brady opted out. 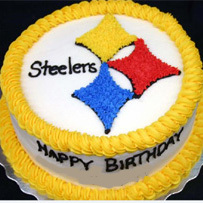 Other Steelers players selected for the 2012 Pro Bowl include Maurkice Pouncey, Mike Wallace, Antonio Brown, and Troy Polamalu. Congratulations!! The annual contest of the AFC and NFC’s best will take place Sunday, Jan. 29, 2012 at Aloha Stadium in Hawaii. Thank you fans!!! Your votes put him on that roster! His 3,856 yards entering the final week of the season rank second in team history for single-season passing yards and his 301 completions also rank second on the team’s single-season list. 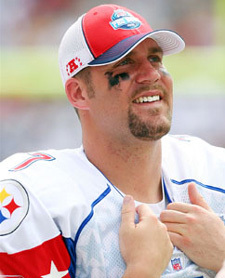 Roethlisberger was twice named AFC Offensive Player of the Week in 2011 and broke the team’s all-time record for completions in Week 14 versus Cincinnati. You can read more about the Steelers Pro Bowl selections from Mr. Bouchette here. Watch highlights from Ben’s 2008 Pro Bowl appearance here. Watch an interview with Ben in Hawaii during the week of the 2008 Pro Bowl here. Check out a few photos from that week in Hawaii here.